How to Avoid Plagiarism. Intellectual dishonesty is the height of all academic wrongs. Plagiarism is perhaps the worst of them all. Worry not! As a student, you have ways to avoid plagiarism. And the best part is that they are easy to do. Here are some tips on how to avoid plagiarism. Cite! Make sure every sentence, phrase or idea -- basically, direct quotes or paraphrases -- you take from another work has proper citation. 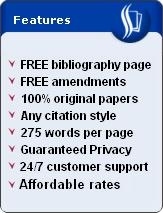 APA and MLA formats are two of the most common citation styles used. For more information, read our detailed tips on how to properly cite your source or reference. When in doubt, ask Google. If you are not sure if something you have written is your original idea, try to make a quick online search. Copy and paste the text on the search engine, hit enter, and see if an online post has made the same point. If another online article already did, the best thing to do is to use that article as your reference. It also helps bolster the merit of your sentence. Bottom line: give credit to your source by citing it. If what you want to state is common knowledge, there is no need to provide a citation for it. However, be sure that the information is indeed common and factual. When in doubt, consult your instructor. If your instructor is not readily available, err on the safe side -- give proper attribution. 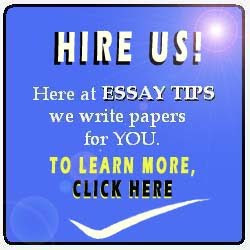 Avoiding plagiarism is not a difficult task. It can save your grade, your whole academic career, and your reputation most of all. Indeed, it is better to be safe at the start than to be awfully sorry at the end of the day -- all because of plagiarism.